Beau is a musician, teacher, composer & conductor with a B.M. in music composition from Towson University. 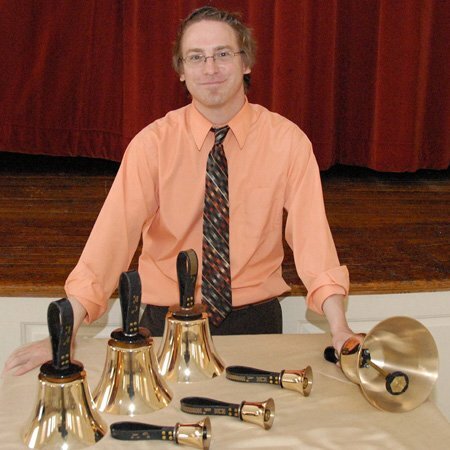 In addition to directing the chancel handbell choir and youth handchimes programs at Second Presbyterian, he is Artistic Director and founder of Charm City Bronze, an independent handbell ensemble. Mr. Lochte currently teaches over 20 piano students and arranges original, keyboard, pop and orchestral music for handbells and regularly performs as a solo handbell ringer and in small ensembles. Recent performances include a livestream from inside the top level of the Bromo Seltzer Arts Tower in Baltimore, MD and a “Concert of World Premieres” featuring Mr. Lochte’s original arrangement of Grieg’s Piano Concerto in A minor.